ROHRABACHER: Just so you know, global warming is a total fraud and it is being designed by—what you’ve got is you’ve got liberals who get elected at the local level want state government to do the work and let them make the decisions. Then, at the state level, they want the federal government to do it. And at the federal government, they want to create global government to control all of our lives. That’s what the game plan is. It’s step by step by step, more and bigger control over our lives by higher levels of government. And global warming is that strategy in spades.… Our freedom to make our choices on transportation and everything else? No, that’s gotta be done by a government official who, by the way, probably comes from Nigeria because he’s a UN government official, not a US government official. Rohrabacher also argued that government-funded scientists have received “so much money” for research that “they have used it to intimidate people who disagree with their attempt to frighten all of us into changing our lives and giving up our freedoms to make choices.” The sinister role of scientists, he claimed, is akin to the military industrial complex described by President Dwight Eisenhower in his farewell address. The conspiracy to destroy freedom is apparently very vast. 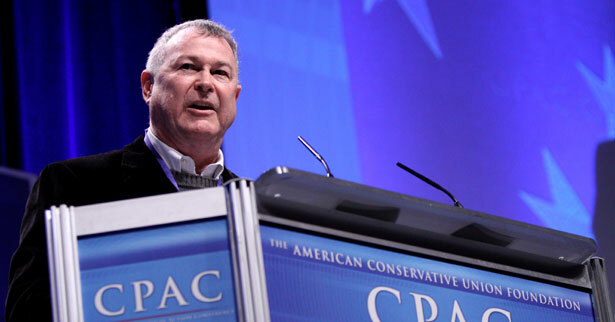 Rohrabacher has never been shy about expressing his fringe beliefs about climate change. In the past, he’s suggested that global warming has been caused by everything from dinosaur flatulence to rainforests—pretty much everything except the fossil fuel industries that provide Rohrabacher with campaign donations. Barack Obama's proposal to slow the pace of climate change.